If you are looking for a dentist to treat your temporomandibular joint disorder (TMJ), you need to choose one carefully. There are many dentists offering TMJ treatment in Columbus, OH. 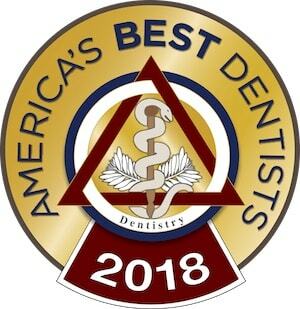 Not all TMJ dentists are created equal, and it’s up to you to figure out which is the best TMJ dentist for you. Here’s how to carefully evaluate your options to find the right match. A TMJ dentist isn’t a recognized dental specialty, which means that there’s no single board with the authority to recognize what constitutes adequate training for a TMJ dentist. Some will advertise TMJ treatment after they’ve taken just a few classes, while other TMJ dentists have years and years of education along with certifications from multiple authorities. Carefully evaluate a dentist’s qualifications by looking at the dentist’s training for words like neuromuscular, gneuromuscular, craniomandibular, and craniofacial, terms that relate to the study of TMJ and its treatment. Dr. Mike Firouzian has received training from many different institutions that train TMJ dentists, including the Las Vegas Institute for Advanced Dental Studies (LVI), the International College of Cranio-Mandibular Orthodontics (ICCMO), and the American Academy of Craniofacial Pain. He has received the rank of Fellow at LVI and ICCMO. Of course, not all TMJ dentists are able to successfully apply their training to help patients achieve relief from their pain. And there are many lessons that only experience teaches TMJ dentists. So you want to make sure the TMJ dentist you’re considering has handled a few cases successfully. Check testimonials and reviews to see whether patients have talked about TMJ, and what kind of results they have seen from their treatment. Check before and after pictures to see if a dentist has a case study for TMJ treatment. Dr. Firouzian has been treating TMJ successfully for years. If you look at reviews of our practice, you’ll see that Dr. Firouzian has many satisfied patients, including TMJ patients. You still have to make sure that a TMJ dentist is the best one for you. There’s no way to do this but to talk to dentists in person. A TMJ dentist has to be able to make you feel comfortable and confident. Just being relaxed at the dentist’s office is an important component to your treatment. After evaluating dentists for their training and experience, schedule appointments to visit one or two in person. During your appointments, talk to them about their treatment approach and make sure you feel comfortable working with them. Dr. Firouzian invites you to meet him in a personal consultation. We can talk about your TMJ experience, your treatment goals, and any limitations you may have due to medical history, personal preferences, budget, etc. To schedule a consultation with Columbus, OH TMJ dentist, Dr. Mike Firouzian, please contact Firouzian Dentistry.